Your network storage just got bigger! Setting up your own network storage device is super easy with a Raspberry Pi. All you need is an application called Samba and a few tweaks to the default settings. Before you know it, everyone on your network will have access to a custom Raspberry Pi NAS system. 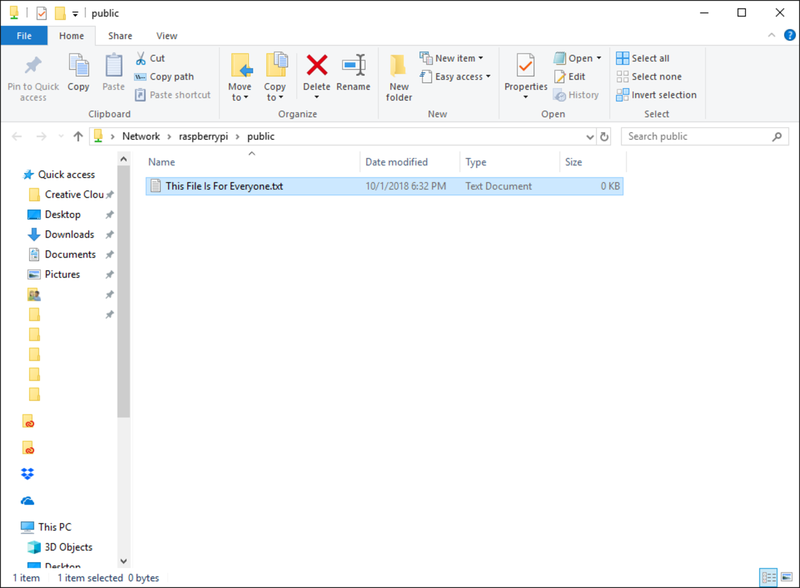 Everyone can share files with each other or even keep a private network folder for themselves. If you're looking for something a little less technically-involved, skip to the end where we'll discuss OpenMediaVault and NAS4Free. Before we download anything, we need to start with a fresh update. 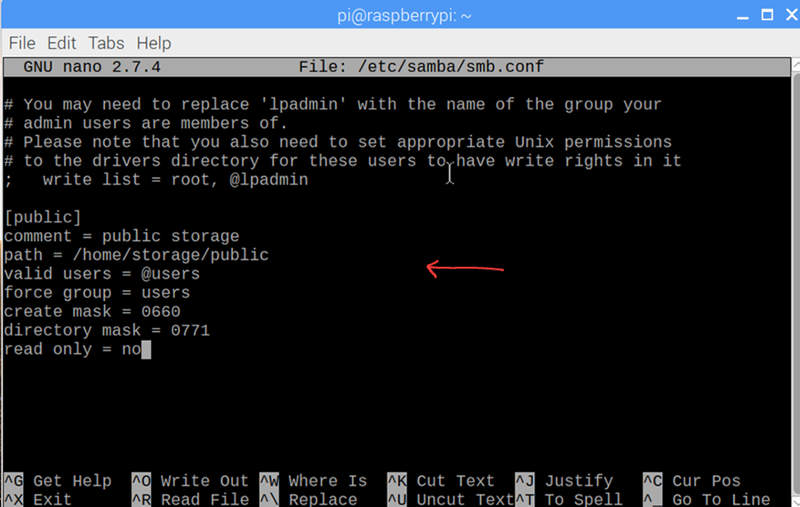 In this guide, I'm using a Raspberry 3 B+ with Raspbian installed. Be sure to update your OS to the latest version. 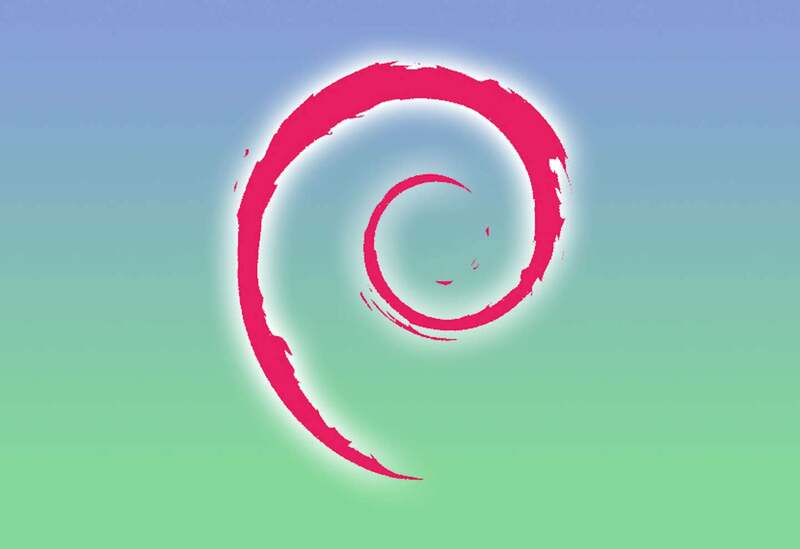 Visit our guide here on how to update to the latest version of Raspbian. After a fresh update and restart, we're ready to get started. 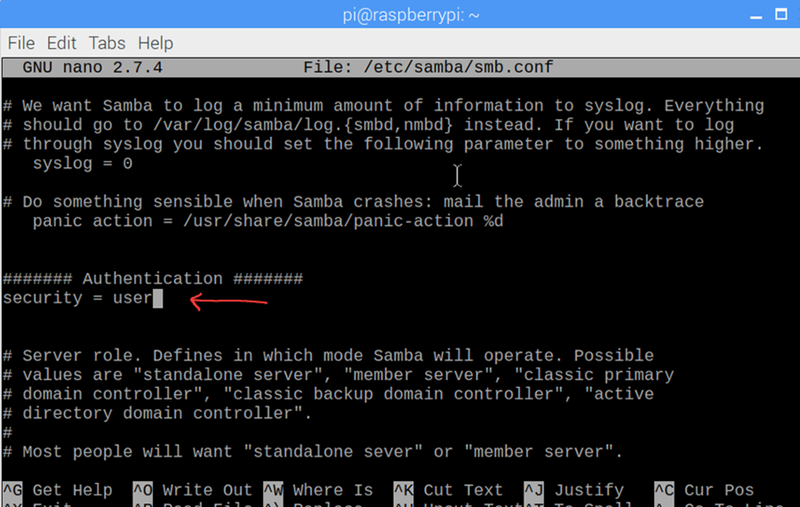 Run the following command to install Samba on your Pi. Samba will need a place to store our files on the network. Therefor we will create our own directories and point Samba to them. Use the following commands to create both a private and public directory location. Note: My example places the folders under the /home/ directory. You may find another location is suitable for your NAS structure. These directories require special permissions to function properly. Use the following commands to set the permissions. If you want to enable a login prompt for your storage device, open the following file. Leave this file open, we will be using it for the next couple of steps. After adjusting all of the permission settings, we will need to save this file. Press ctrl + x to open the exit prompt. When asked to save the document, press Y and enter. In my example, I'm adding the user "Pi". 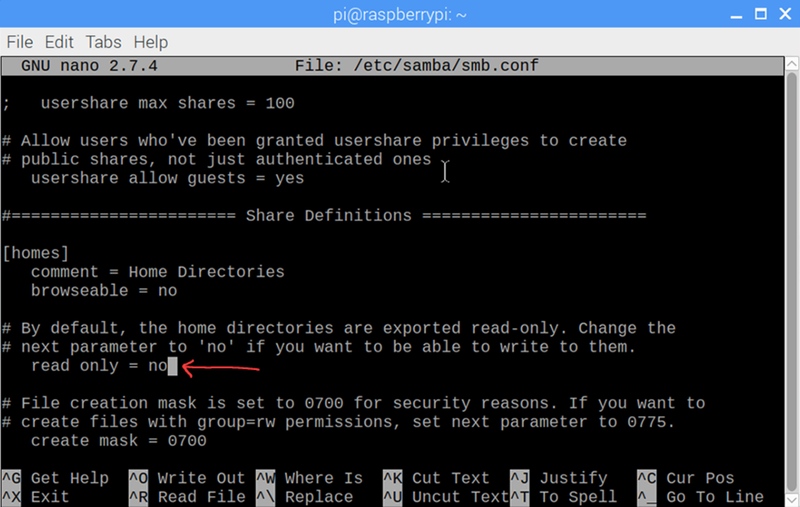 Follow the prompts from Samba to set a password for the NAS. If this is the first and only usb storage device, it will probably be named "sda1". Whichever device you'd like to add to the NAS, take note of the name. If you haven't already, you will need to format the drive with a Linux file system. Use the following code to format the drive, replacing "sda1" with the appropriate drive name. Add the following line to the bottom of the file for each drive you want to mount. Replace "sda1" with the name of the respective drive. This is the easiest part. Congratulations! 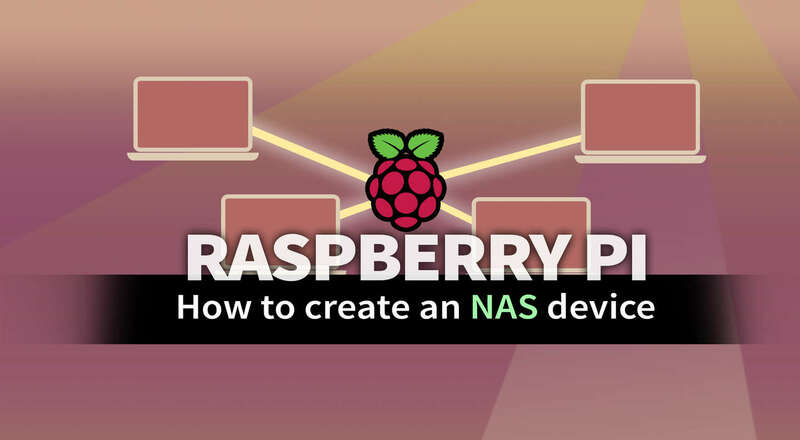 Your NAS Pi device should now be accessible on your network. It's time to drag and drop files to your heart's content. If you're using a Windows device, the following path will open the NAS from a run window. Note: My Pi is named "raspberrypi". You will need to adjust the example to reflect the name of your Pi. If you don't want to go the Samba route, there are two applications worth mentioning, and both are relatively simple to install. OpenMediaVault and NAS4Free are available for free, and they install easily from a disk image. Download the image for either, then write the image to your SD card. I'd recommend checking out Etcher to do this, since it's available for Windows/Mac/Linux and simple to use. Pop that SD card into your Raspberry Pi and watch as they install automatically. Finish configuring with your IP address and voila!